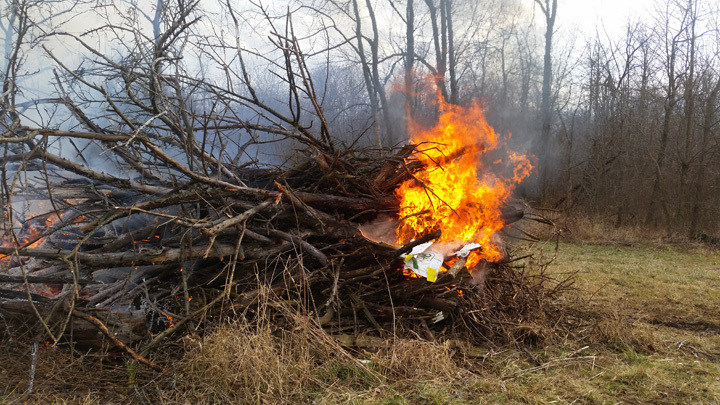 One Friday morning I started a fire in a brush pile. Just like the start of many marriages it was roaring pretty good. 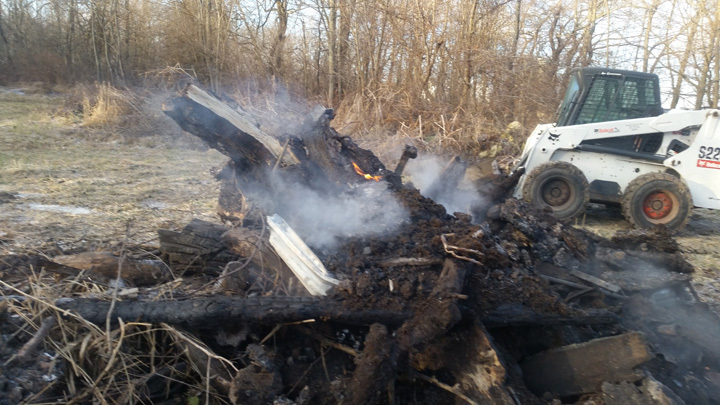 Then on Monday, after two or three inches of rain and cold weather, the fire looked pretty dead. When I walked up to it all I saw was the black and grey ashes. This is like many marriages after 10, 20 or 30 years of married life, relationship challenges, and maybe a separation or just a hard season of marriage. From the outside looking in the marriage looks dead. After I stirred up some of the dead-looking embers, notice the blaze (in the center of the picture) that was rekindled. I did not strike any match; this rekindled by itself. Even though your marriage may look dead, if there are just a few of the tiniest embers of love left, your marriage can be rekindled if you stir what is left. If I had added some dry paper and wood do you think I could have had a roaring fire again? What fuel do you need to add to the embers of your marriage to have a roaring fire of a marriage again? This entry was posted in Divorce, Marriage, Separation and tagged Hope, Perseverance, Struggling. Bookmark the permalink.